She reached her trunk out to comfort her. 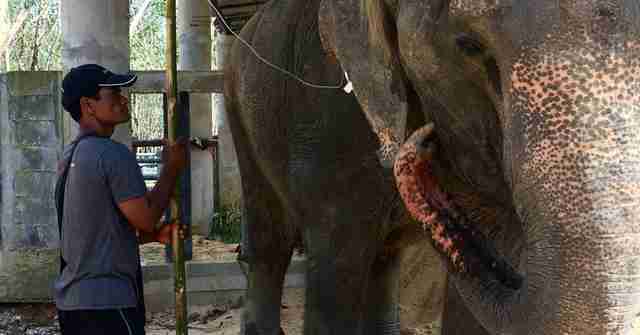 Baan Yen, a 50-year-old elephant, is obviously haunted by her troubling past. After being rescued earlier this month from an elephant riding camp, where she spent the last 20 years, she still couldn't even sleep. She'd been awake for about a week straight when rescuers brought her to her new home, Phuket Elephant Sanctuary in southern Thailand. She was so weak, people had to give her fluids to help her gain strength. 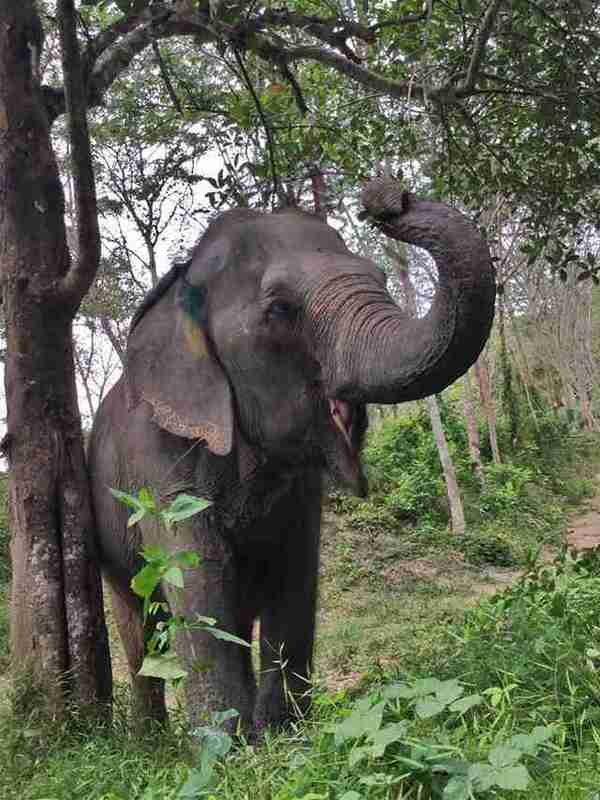 Her rescuers believe that the source of some of Baan Yen's pain is the memory of being forced to breed with a bull elephant years ago, when she sustained injuries. 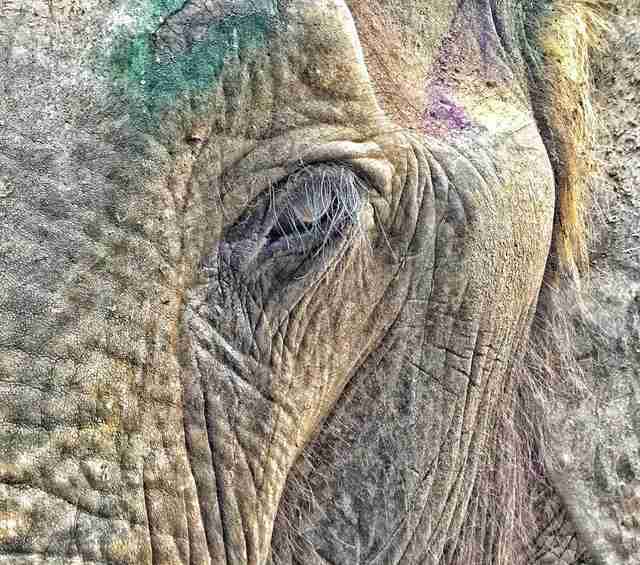 This could be why she was shy of the other elephants at the sanctuary at first - she has dark memories not only of interacting with people, but of interacting even with her own kind. 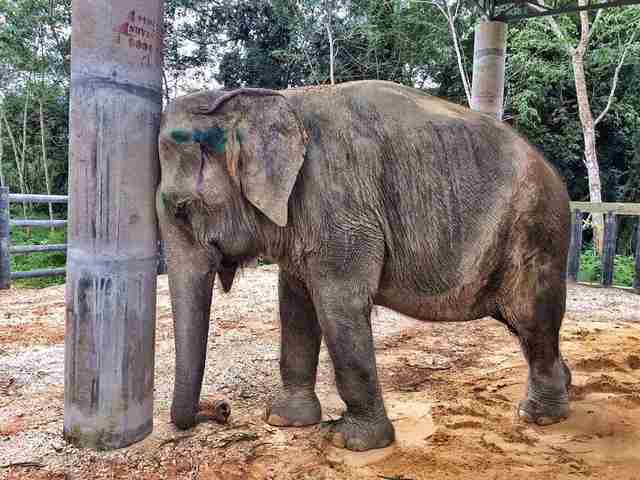 "We were told she had stopped lying down to sleep and was very tired," the sanctuary wrote. "Along with veterinary care, we are also spending a lot of time talking to her and reassuring her as she seems deeply troubled, even depressed." 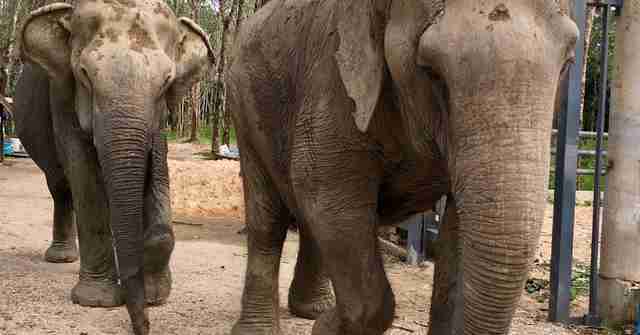 But soon Baan Yen started to meet the other rescued elephants at the sanctuary. Despite her troubled past, she seemed to realize she was among friends. 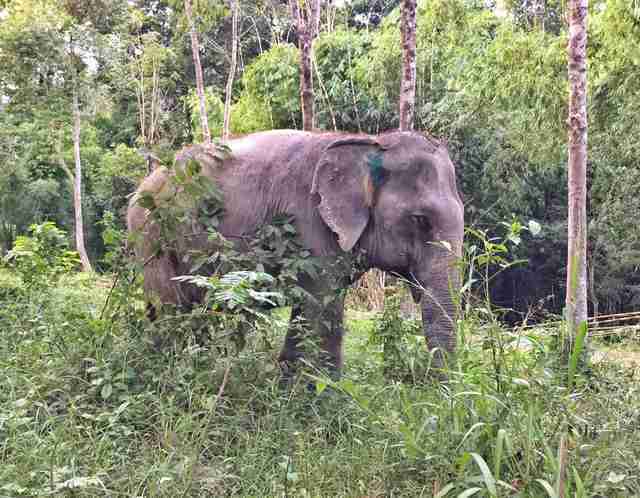 "Baan Yen has both physical and mental trauma and we are surrounding her with everything she needs so she can slowly begin to understand that she is going to have a beautiful life with us," the sanctuary wrote. Dok Gaew, another elderly and exhausted elephant at the sanctuary, recently decided to approach Baan Yen, to help her. 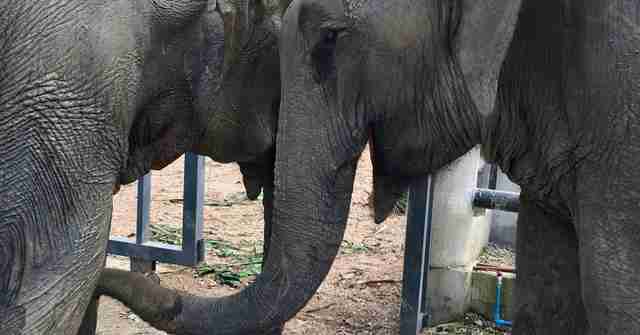 She reached her trunk over a fence to touch Baan Yen. 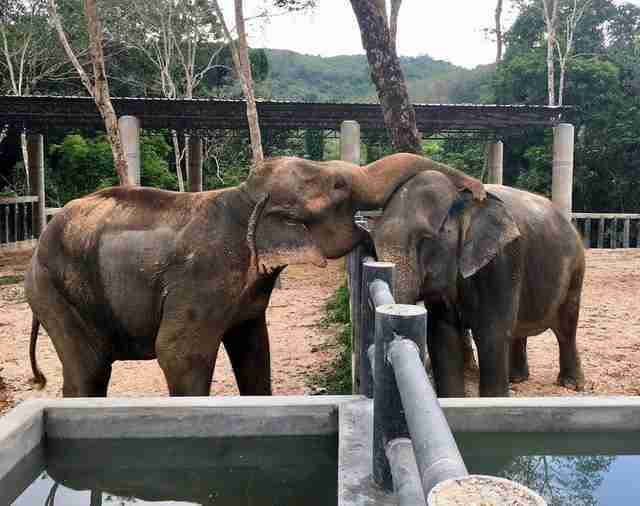 "What is so beautiful about these photos is that our most exhausted elephant Dok Gaew is comforting a deeply upset Baan Yen," the sanctuary wrote. "We stood quietly watching this very special moment and we are sure that Dok Gaew was saying, it is going to be OK."
By the time Christmas came, Baan Yen seemed to be much more at home. "We couldn't have asked for a better Christmas present than to see Baan Yen starting to feel a little bit better," the sanctuary wrote. 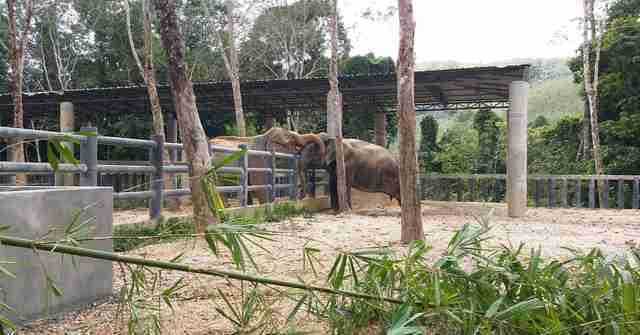 "She is spending her days out on the top area of our forest land along with Gaew Ta, our blind elephant." It seems that Baan Yen's past is finally behind her. "Elephants experience many emotions including sadness, depression and grieving deeply. They are compassionate and express love, joy, happiness, and have a deep understanding for one another," the sanctuary wrote. "They are the most incredible animals and we have so much to learn from them." To support the Phuket Elephant Sanctuary, click here.